This ticket allows you to use the subway lines in Tokyo as much as you want within the according validity period. This is perfect if you want to see several places in Tokyo, especially within a short time span. 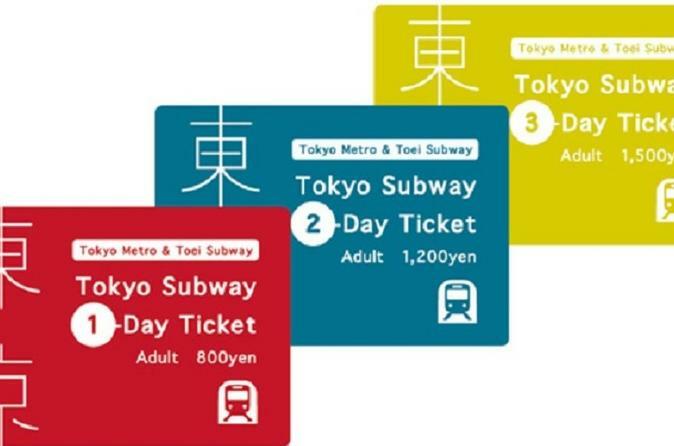 The Tokyo MetroPass allows you to use every Tokyo Metro and Toei Subway line as much as you want, which makes it perfect for the case that you want to move around the Japanese capital a lot. There are tickets available for 24, 48, and 72 hours. They will activate from the first time you use them, and are valid from that point onward, for the according number of hours. This ticket surely will safe you a lot of money if you compare it to buying a new ticket for every time you want to use public transportation. The adult tickets apply to people from the age of 12, children tickets from the age of 6. Children 5 years of age or younger can use the trains for free. We can send you the tickets either to your hotel in Japan, or you can come to our Harajuku Office to pick them up yourself. Upon making a reservation, please let us know which option you would prefer (and in case of hotel delivery please also note the hotel name, check-in date, and if different from your own the name under which the hotel reservation was made).